Delhi, Feb 11 (Agencies): Jammu and Kashmir National Conference President Dr. Farooq Abdullah on Monday visited Andhra Bhawan in Delhi to express solidarity with Chief Minister of Andhra Pradesh Chandrababu Naidu, who was on a day long fast in New Delhi seeking special category for the newly carved Andhra Pradesh state. “There is no substitute to democratic process. And unfortunately GOI is making inordinate delay in ensuring elections in the state. 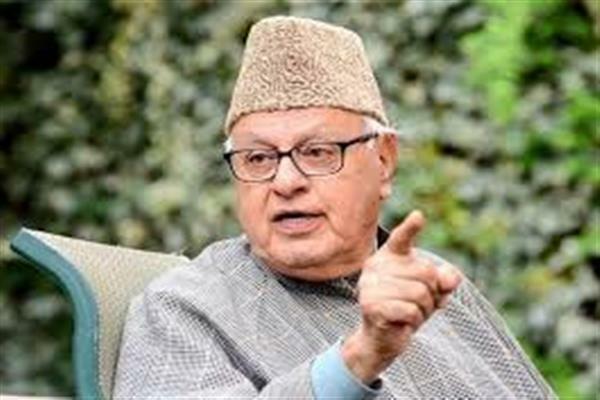 It might serve their henchmen but it certainly doesn’t hold good for the people of Kashmir,” he said.